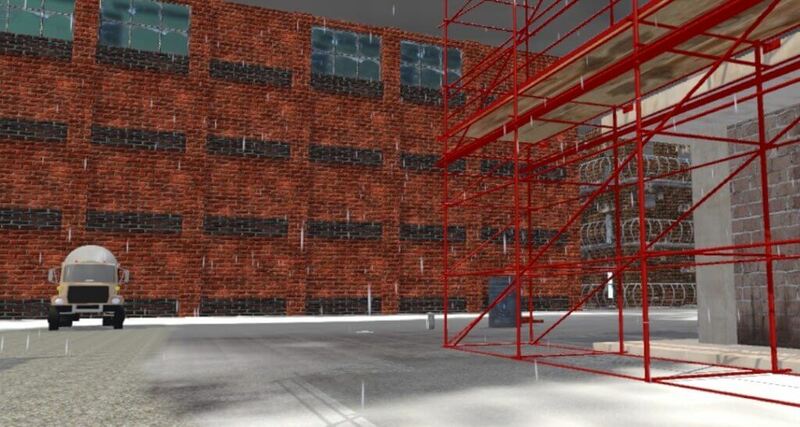 I was certain I wanted to do a VR experience, I have worked already in several VR training tools for other industries like the military, and for H&S it just makes sense. Our team was composed by one 3D provider, one Unity programmer (myself), one Android programmer and two Civil engineers. 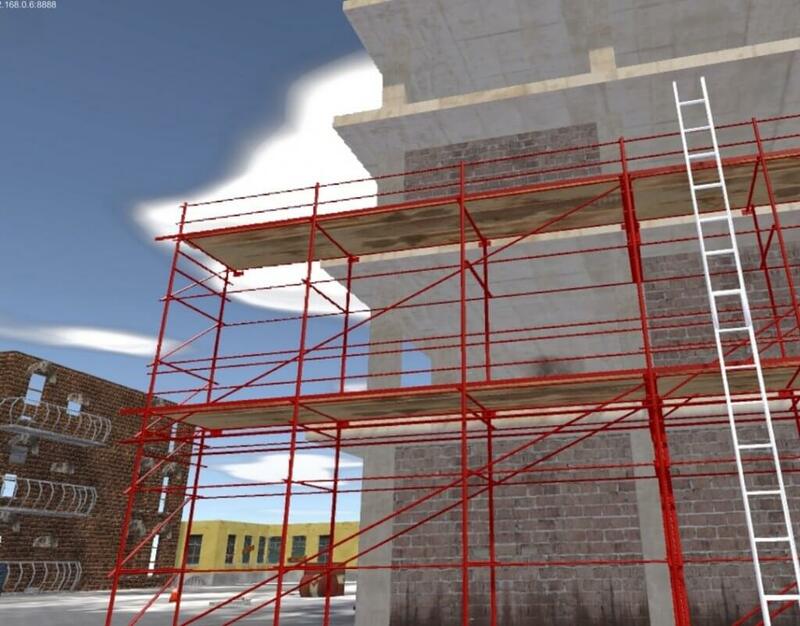 It was a pretty good mix and having civil engineers proved incredibly valuable as they quickly came with ideas that could benefit from my VR skills. My original idea hadto be tweaked a bit to please everyone in the team, but in the end it was pretty similar: We will recreate a construction site environment and use it to put trainees in hazardous situations. The goal is to make these situations as realistic and organic as possible, not using buttons or floating menus to indicate the dangers, but enforcing critical thinking in the trainees as if they were in a real situation. The “brutal” outcomes make the trainees realise that if this was a real situation it could have had very terrible consequences, forcing them to keep a sharp mind while going through the exercise. Truck hazard If and only if, the user does not look left and right before crossing the road, a truck will drive over him. In other case the truck will stop before the collision. Ladder hazard When using a ladder in the construction site, the ScaffTag (scaffolding tag) can be missing, unapproved, out of date or approved. If the user tries to climb a ladder without the right H&S regulations approved it will break mid-climb, sending him 10m down. Fire hazard I created a fire hazard in the center of the scenery. When the user is asked to put it out the fire extinghisers nearby may or may not be the right type. Using the wrong one will cause an explosion. The cherry on top: all of this can be controlled by an external Trainer App that allows the trainer to enable/disable different hazards and weather conditions (rain supported at the moment, but many more are planned). This way the experience can be really organic and tailored to the trainee. For example if the trainee is not paying attention to certain hazards this can be estressed a bit more, or create very subtle situations and see how they respond. As explained other times in this blog this was done using socket communication to/from a native Android app. Video games are not the only military training tools that use virtual reality . 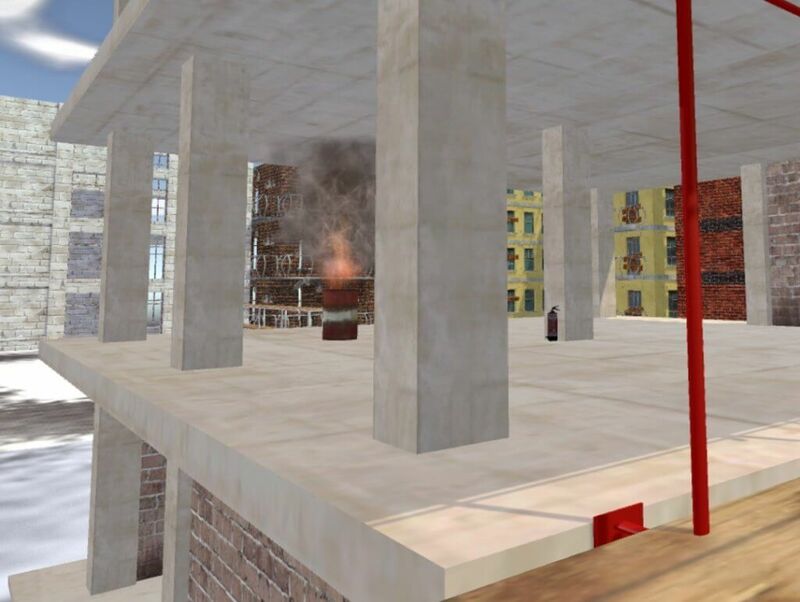 The U.S. armed forces spends about $4 billion a year on training equipment and programs involving simulations, and many of these feature some degree of VR.